On April 9, 1806, English engineer and entrepreneur Isambard Kingdom Brunel was born, whose designs revolutionised public transport and modern engineering. He developed and constructed dockyards, the Great Western Railway, a series of steamships including the first propeller-driven transatlantic steamship and numerous important bridges and tunnels. — Isambard Kingdom Brunel [Objecting to any interference by the State with the freedom of civil engineers in the conduct of their professional work.] , Letter (13 Mar 1848) to the Royal Commission on the Application of Iron in Railway Structures. 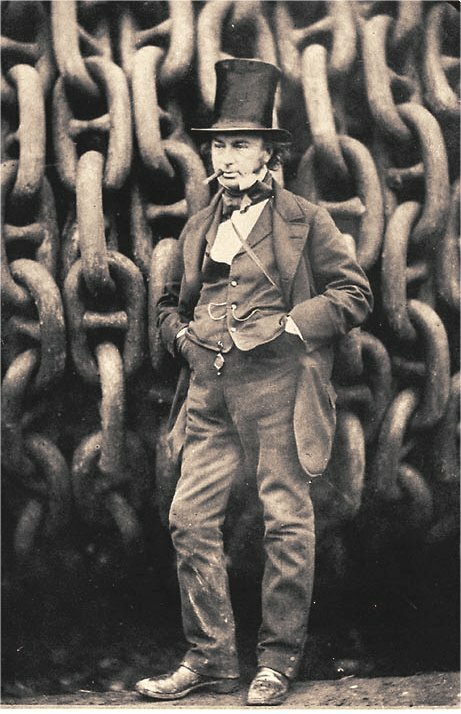 Isambard Kingdom Brunel was born on April 9, 1806 as son of French civil engineer Sir Marc Isambard Brunel and Sophia Kingdom Brunel in Portsmouth, where his father was working on block-making machinery. Despite the family’s constant money worries he had a happy childhood. 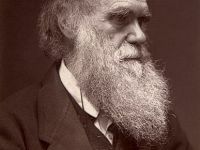 After the family moved to London, he was taught drawing and observational techniques by his father from the age of four and Brunel had learned Euclidean geometry by eight. During this time he also learned fluent French – his father was a Frenchman by birth – and the basic principles of engineering. At the age of 14, the Brunel was enrolled at the College of Caen in Normandy and later at the Lycée Henri-Quatre in Paris, where he completed his studies in 1822. 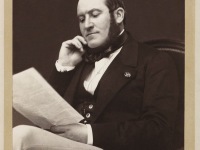 As a foreigner, the renowned engineering school École Polytechnique refused to take him as a candidate. Therefore Brunel subsequently studied under the prominent master clockmaker and horologist Abraham-Louis Breguet and returned to England in late 1822. In England, Brunel started to work for his father an assistant engineer and his first notable achievement was the part he played with his father in planning the Thames Tunnel, a tunnel under London’s River Thames from Rotherhithe to Wapping, completed in 1843. 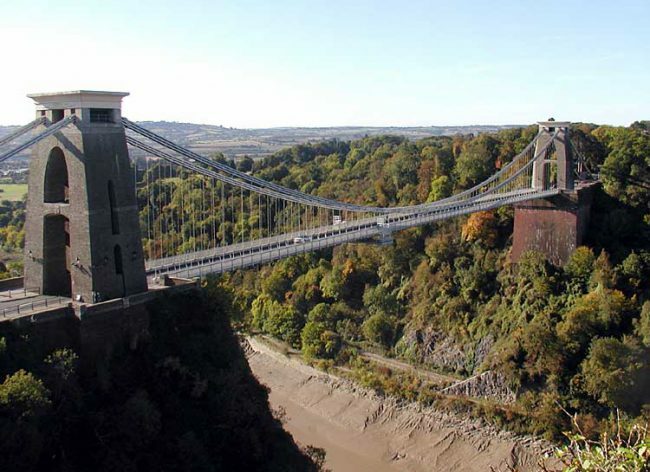 In 1831, Brunel’s designs won the competition for the Clifton Suspension Bridge in Bristol across the River Avon, for what he is perhaps best remembered. Spanning over 210 meters and 61 meters above the River Avon, it had the longest span of any bridge in the world at the time of construction. It was not completed until 1864, five years after Brunel’s death. In 1833, Brunel was appointed chief engineer for the construction of a network of tunnels, bridges and viaducts for the Great Western Railway, running from London to Bristol. It was Brunel’s vision that passengers would be able to purchase one ticket at London Paddington and travel from London to New York, changing from the Great Western Railway to the Great Western steamship at the terminus in Neyland, South Wales. 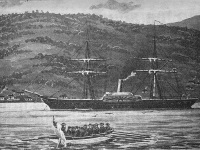 To achieve this, the Great Western Steamship Company was formed, though it was widely disputed whether it would be commercially viable for a ship powered purely by steam to make such long journeys across the Atlantic. It was generally thought that a ship would not be able to carry enough fuel for the trip and have sufficient additional room for a commercial cargo. 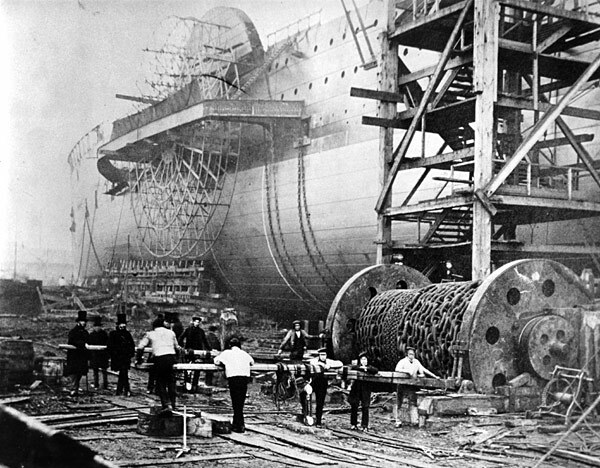 Brunel formulated the theory that the amount a ship could carry increased as the cube of its dimensions, whereas the amount of resistance a ship experienced from the water as it traveled only increased by a square of its dimensions. This would mean that moving a larger ship would take proportionately less fuel than a smaller ship. 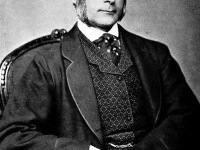 To test this theory, the Great Western Steamship Company appointed him with designing its first ship, the Great Western. Shortly before the maiden voyage of his largest ship, the Great Eastern, Brunel, a heavy smoker, who had been diagnosed with Bright’s disease (nephritis), suffered a stroke from which he could no longer recover. Ten days later he died at the age of 53 and, like his father, was buried on the Kensal Green Cemetery in London. A celebrated engineer in his era, Brunel remains revered today, as evidenced by numerous monuments to him. There are statues in London at Temple, Brunel University and Paddington station, and in Bristol, Plymouth, Swindon, Milford Haven and Saltash. “Obituary Isambard Kindom Brunel”. in The Times 19 September 1859. The Life of Isambard Kingdom Brunel, Civil Engineer (1870), 487.